Can an inexpensive supplement really help you avoid falls? As we age, one of the best ways we can ensure we live healthy, independent lives is simply to stay on our feet. No, I’m not talking about exercising, although that’s certainly important. I’m talking about avoiding falls. 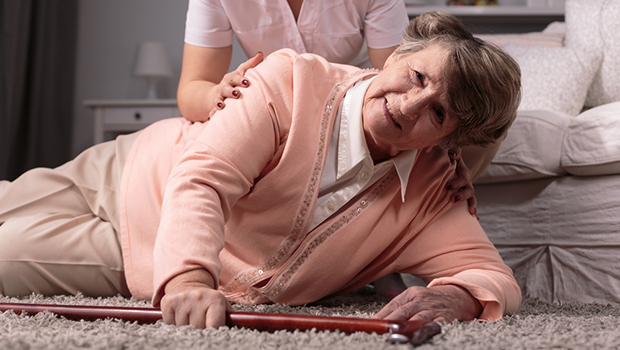 It’s sad but true: one bad fall can spell disaster for your plans to live independently. Having a fall, particularly if you break a bone, significantly increases your risk of mortality or spending extended time in a care facility. While I encourage my readers to take steps to strengthen their bones so they can withstand a fall, it’s best to avoid falls altogether. It’s important to be careful as you walk, particularly on unfamiliar or uneven terrain, and to remove any hazards from places you frequent, such as loose rugs or clutter stored on the floor. But did you know that you can actually reduce your fall risk by taking a supplement? A review study conducted at the University of Zurich in Switzerland confirmed that this is the case. That’s because the vitamin found in this supplement actually improves your strength and balance, which are essential in helping you stay on your feet. This vitamin is something you might be getting less of as you get older, particularly if you’re trying to avoid tripping outside: vitamin D. Fortunately, this meta-analysis found that D in supplement form was effective at reducing risk, so you don’t have to navigate tree roots and cracked sidewalks to gain its benefits. For this analysis, the researchers evaluated a number of double-blind, randomized controlled studies focusing on fall risk in participants of mean age 65 or older. They analyzed seven trials with a total of 1,921 participants and found that using a high-dose supplemental vitamin D (700 to 1,000 IU a day) reduced fall risk by 19%. Lower doses, in contrast, did not appear to have any effects on fall risk. I think vitamin D has many benefits, but this is an important one, particularly if you’re trying to continue living independently. I recommend Advanced Bionutritionals Vitamin D3. Each tablet contains 5,000 IU of D3, so you’ll be getting more than enough to reduce your fall risk as well as enough to get your blood levels up to optimal levels. BMJ, Published online October 2, 2009.